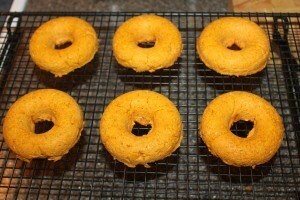 Pumpkin Donuts Recipe - Baked, Not Fried - A Healthier Twist! 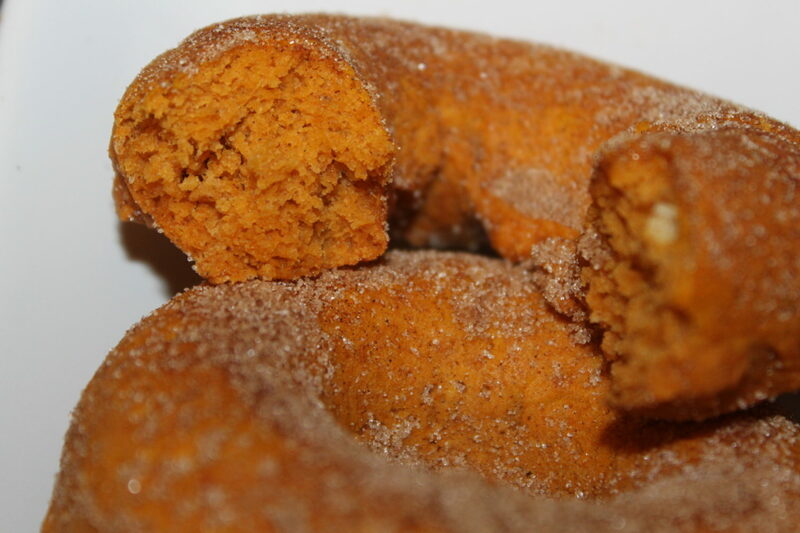 Pumpkin donuts paired with hot coffee on a cool, Autumn morning…..Yes, please! Homemade baked pumpkin donut with cinnamon sugar on top! Nothing screams Autumn more than pumpkin recipes. So this week we decided to share an old-fashioned favorite recipe of ours – Baked Pumpkin Donuts. No need to worry about deep-frying. Just throw them in the oven and 10 minutes later, pure goodness! Want to make them even better? Mix up a glazed or sugar cinnamon mixture for the topping and your family and friends will be begging for more. We use a donut pan, but if you don’t have one, don’t fret. 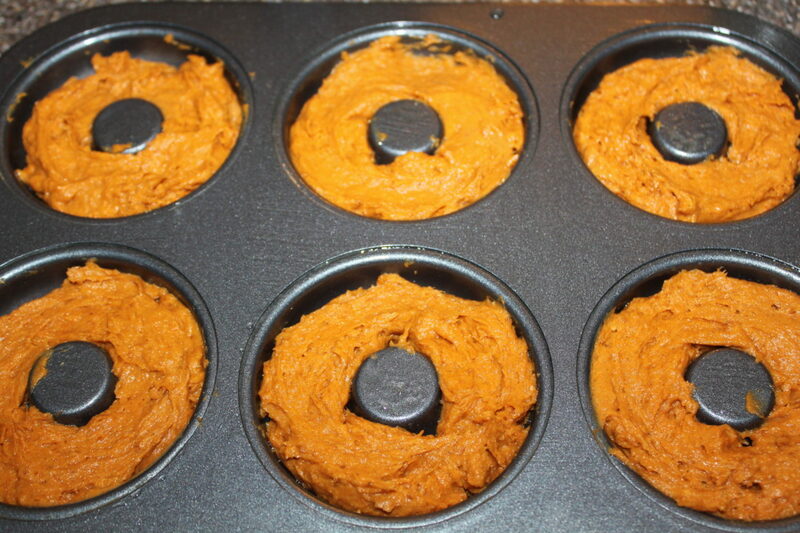 You can make them in a muffin pan and cut out the center with an apple corer. Why not enjoy donut holes also?! 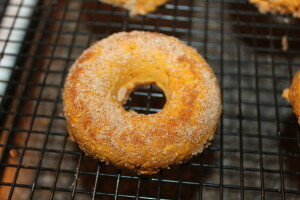 Adding batter in a donut pan. 1. In a large bowl add all-purpose flour, brown sugar, baking powder, pumpkin pie spice, salt, and baking soda. Whisk dry ingredients together. 2. Add pumpkin puree, eggs, milk, and softened butter and beat mixture on low speed until well combined. 3. Pour batter into a greased donut pan. 4. Bake for approximately 8-10 minutes or until donuts spring back when touched. For Glazed topping: Beat confectioners’ sugar, melted butter, water, and vanilla extract together in a bowl until smooth. Dip warm donuts into the glaze and let any excess glaze drip back into bowl before placing glazed donut on a parchment lined baking sheet or cooling rack. 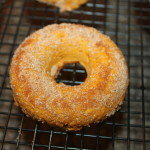 For Cinnamon Sugar topping: Dip warm donuts in the melted butter, then in the cinnamon-sugar mixture. 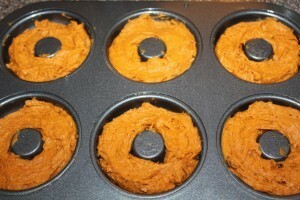 Place donut on a parchment lined baking sheet or cooling rack. 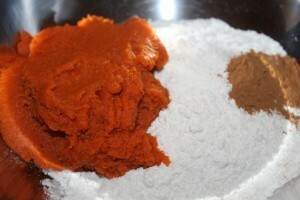 In a large bowl add all-purpose flour, brown sugar, baking powder, pumpkin pie spice, salt, and baking soda. Whisk dry ingredients together. Add pumpkin puree, eggs, milk, and softened butter and beat mixture on low speed until well combined. Pour batter into a greased donut pan. Bake for approximately 8-10 minutes or until donuts spring back when touched. For Glazed topping: Beat confectioners' sugar, melted butter, water, and vanilla extract together in a bowl until smooth. Dip warm donuts into the glaze and let any excess glaze drip back into bowl before placing glazed donut on a parchment lined baking sheet or cooling rack.